Anaheim, CA (July 25, 2016) National Technical Systems, Inc. (“NTS”), the leading independent provider of environmental simulation testing, inspection, and certification solutions in the United States, is pleased to announce the completion of the expansion of its EMI testing capabilities to include state-of-the-art reverberation test chambers at five of its U.S. laboratories. Testing in a reverberation chamber versus a traditional EMC/EMI chamber can shorten test time by as much as 50 percent. The FAA, AEROCAE, RTCA, and major airframe manufacturers such as Boeing are “preferring” reverb over anechoic chamber due to the time and cost savings, as well as the robustness of the reverb test method over the direct illumination technique. EMI testing including radiated susceptibility and radiated emissions can be conducted using the reverberation testing chambers. RF energy is applied to all sides of the equipment being tested in a single pass, greatly simplifying the process and increasing test repeatability. The reverberation chambers have been added to NTS laboratories in Boxborough, MA; Plano, TX; Tempe, AZ; and Fullerton, CA. NTS Rockford, IL is adding a second reverberation chamber. These copper-lined chambers are capable of achieving greater than DO-160 Category L levels. Contact NTS today to discuss the benefits of the reverberation chamber test method and if it is appropriate for your product. NTS is a portfolio company of Los Angeles-based Aurora Capital Partners. 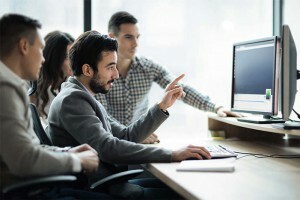 National Technical Systems, Inc. (NTS) is the leading provider of qualification testing, inspection, and certification services in North America, serving a broad range of industries, including the civil aviation, space, defense, nuclear, telecommunications, industrial, electronics, medical, and automotive end markets. Since 1961, NTS has built the broadest geographic presence in the United States, offering more than 70 distinct environmental simulation and materials testing categories, including climatic, structural, dynamics, fluid flow, EMI/EMC, lightning, product safety, acoustics, failure analysis, chemical, and other industry-specific tests. 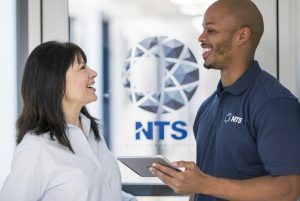 Operating through a network of more than 27 technologically advanced testing laboratories, this geographically diverse footprint puts NTS facilities in close proximity to its more than 4,000 clients, allowing NTS to serve the nation’s most innovative companies with industry- leading accessibility and responsiveness. NTS is accredited by numerous national and international organizations and operates its inspection division under the Unitek brand, providing a wide range of supply chain management services. NTS’ certification division, which operates under the NQA brand, is one of the largest and most respected global ISO registrars, with active certifications in more than 75 countries. For additional information about NTS, visit our website at www.nts.com or call 800-270-2516.